It’s all of six months before the First Test in this year’s Ashes series starts in Birmingham in August. Our touring squad won’t be selected for some time yet with a fair slab of the Shield season still to play. Late form surges as well as performances on the upcoming ODI and T20 tour to India will play their part in sorting out the few places seemingly up for grabs. Based on those squads, the following can pack their bags: Warner, Burns, Smith, Head, Patterson, Paine, Starc, Lyon, Hazlewood, Cummins, Richardson, Labuschagne, Khwaja and Stoinis. That’s 14 out of 17 – 6 batsmen, 2 allrounders, a spinner, a keeper and 4 quicks. The likely line-up for the First Test would be Warner, Burns, Khwaja, Smith, Head, Patterson, Payne, Cummins, Starc, Heazlewood and Lyon. So what else do you need? Perhaps another quick, another keeper and another spinner. The above lists throw up Worrall, Carey, and Holland or Pope respectively. How about two of Wade, Handscomb or Carey as extra batsmen/second keeper? Maybe two of Worrall, Tremain or Neser as the extra bowler(s), Mitch Marsh as an extra allrounder, and John Holland or Alex Pope as the extra spinner? What about Marcus Harris? Draw your own conclusions about the obvious omission. I’ve also got an eye to the future, hence no Wade or Marsh. Tremain and Worrall can rightfully feel hard done by. It’s not yet the time for Pope or Pucovski – let them get at least another full season of Shield cricket under their belts. Finally, this is the squad I fear the selectors will choose: Warner, Burns, Khawaja, Smith, Head, Patterson, Paine, Cummins, Starc, Heazlewood and Lyon plus Stoinis, Labuschagne, M Marsh, Wade and Tremain/Worrall. 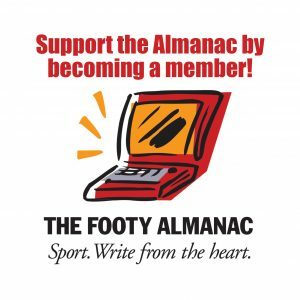 So I call on interested Almanackers to submit your squads by the end of February; we’ll keep a record of your selections; then we can compare them to the final CA squad. We might even be able to talk our Great (Almanac) Leader to provide a prize to the person whose list comes closest to the CA list. A team without Starc is the day forward. This is noting that Bancroft, Zampa, SMarsh, Maxwell, and Ferguson will all be in the country playing county cricket. Why have a squad of 17 when you can effectively have a squad of 22? Luke, cheeky and even more State-biased than me – now that’s saying something. Dave, you’re correct. Any number of players who miss the Ashes squad are likely to be playing county cricket, eg Renshaw, Bancroft etc, so we will have an extended selection available if form/injury intervenes. Peter, seemingly Starc’s 10-wicket haul this week, albeit against modest opposition, wasn’t enough to sway you? Seems like Burns & Patterson have booked their spots on the back of cashing in against a 2nd rate Sri Lankan attack. I feel for Finch, Maxwell, Wade and even S.Marsh. They would have all scored runs against SL too. Finch as a no.5 or no. 6. Say what you will about S.Marsh, but he does score test centuries – and has a solid record overseas. I’m thinking Wade as a specialist batsman wouldn’t have been a bad option. The keeping thing has got in the way for him. Mickey, DM Jones would be the coach. Hey chaps, this is all boring stuff. Why not pick an ashes side from our very own special Almanac comments team. Here’s a starter – Rulebook and Swish to open the bowling. Go for it fellows. Out Labushagne. Think selectors will go for another seamer.So, based on previous selection shocks i can see Moses Henriques getting an Ashes call up.. He got 99 last dig and his form is Ok i think. Stoinis renainss a white ball player at present Also tipping Pucowwski to tour.. He may not play but a kid called Slater in 1989 wasn’t expected to play dither …Its time to be bold.